Do you know how good the benefits of Aloe are when used on the skin? The benefits of aloe are far reaching in health terms. The reason it is so good on and for the skin, is that it has the ability to penetrate down and through the very last layer to the dermis level. I'm sure you will be surprised to find out just how many products contain aloe and you will find the amount added varies considerably. General items like shampoo, soap and even toilet paper! Skin care items (face and hand lotions) and the list goes on. I must emphasise that the higher the aloe content, the better it is for you and your skin. See our 'Components of Aloe' for a complete breakdown and how each component will help your body. 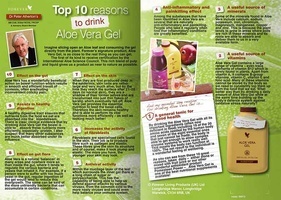 What a lot of people don’t know are the benefits provided when drinking the aloe vera juice or gel. The taste leaves something to be desired, but mixing it with orange, apple or blackcurrant juice does make a world of difference. At least, I think it does! I have mentioned elsewhere on the site that I had been introduced to AloeVera, it's uses and products. This was nearly two years ago and I can honestly say I have not looked back since. Over that period I have lost weight and reduced my blood pressure to where I am thinking of stopping the use of tablets I have taken for four years. I will, however, consult my doctor first! To view and purchase a complete Aloe Vera product range, a lot of which my wife and I use, please click on this link (opens a new page). As with most people, I was very sceptical that something as simple as a plant, or a plant extract, could do anything for me. Would the benefits of aloe provide relief? Football, squash and badminton, over the years, took their toll on my knees. I thought, because of the knee pain after each badminton session, that my playing days were over. The only way I seemed to get relief was to apply ice packs for a couple of days after. Consuming aloe vera gel drink has made such a difference for both of us. 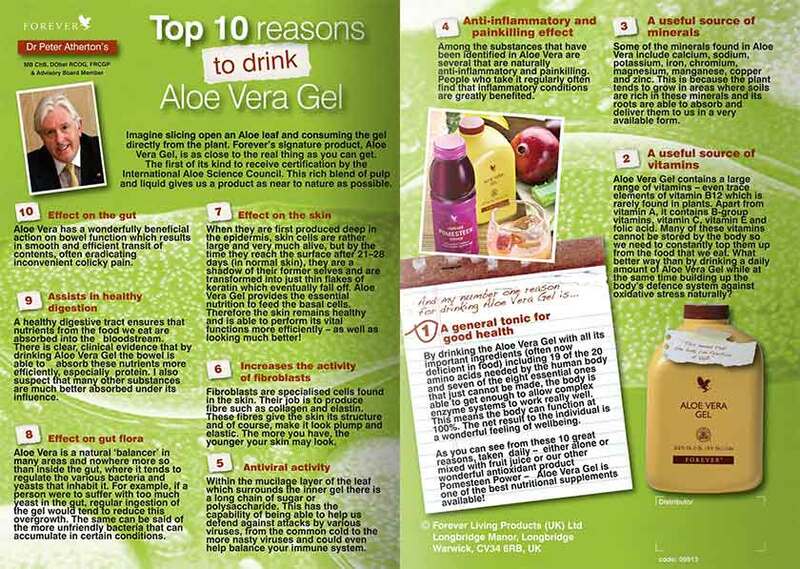 Please read the "Top 10 reason to drink Aloe Vera Gel" so you can better understand the benefits of Aloe. Within a month, not only did I feel better within myself but my knee pain had virtually gone. As with most aches and pains, I still get the odd twinge, but I am happy to put up with that. The only way to find out is to try it for yourself. Aloe Vera benefits, in terms of how quick a person gets results, are different for everyone. Some people take 2, 3 or more months for the benefits of aloe to show properly show itself, but it is definitely worth it. I must stress, applying and/or drinking aloe is NOT a cure, but it certainly can alleviate many symptoms and I have named a few below. If in doubt, please consult your doctor before taking. History shows AloeVera to have been around and in use for some 3-4000 years. You can read more by selecting 'Aloe Vera History' below. What better product to help your body, both inside and out, than something as natural as Aloe Vera? Aloe Juice or Aloe Gel. Has it made a difference to you? We would love to hear from you as to why you prefer to drink aloe juice rather than aloe gel or vice versa. Was it life-changing in any way? What do you think of the taste? Do you mix it with another juice(orange, blackcurrant etc) as I sometimes do? Do you use aloe vera on your skin. If so, would you tell us why? We would love to hear your story?